We specialise in helping other companies grow through the implementation of ISO Management Standards. We have a strong company ethos based on our core values of simplicity, transparency, fairness and integrity. 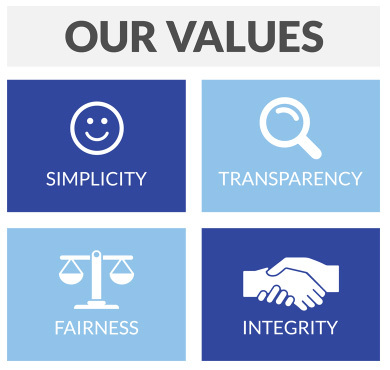 These values are reflected in our dealings with our clients, suppliers and staff alike. Life at ISO Quality Services is fast paced but highly rewarding. Our new starters have responsibility from the outset. We always clearly communicate why we do things the way we do so employees understand how they help us achieve our goals. We have clear processes as well as a learning and development focused mindset. We are keen to nurture our enthusiastic, talented staff. As a growing business, we have plenty of opportunities so any member of staff that shows desire to progress will be given full training and assistance to further their career. Our internal training programme has received a prestigious Princess Royal Training Award. We are a family run business and our office has a very family orientated feel – complete with Harry our office dog! Our open plan office space promotes interaction and co-operative working. The opportunity has arisen to work in a fast paced and dynamic office environment, managing a group of clients in all aspects of the client cycle. The focus of the role is to provide exceptional customer service, building strong customer relationships and seeking new business opportunities. Are you friendly, organised and chatty? If so, you could have a great future with us. Our Client Services team helps customers implement ISO management standards and maintain their compliance. We’re looking for a genuine ‘people person’ to join the team as an Account Manager. Account Managers are the first point of call for customers. They get to know their businesses so they can provide advice and support. They also book meetings for our auditors, produce reports, collect customer feedback and answer clients’ queries. Our Account Managers love their role because no two days are ever the same! They really enjoy talking to a wide range of people and businesses, especially as no cold calling is involved. They also appreciate having a manageable number of customers to look after. The successful candidate will be an experienced administrator, a college leaver or a university graduate. They’ll be great at building relationships over the phone and will love helping people. They’ll be confident at writing emails and will have a good standard of written English. They’ll have a professional and organised approach but also have a great sense of humour. They’ll enjoy being part of a lively team. We’re a small family business and we believe in looking after our people. If you’d like to earn a competitive salary, can think of great ways to invest £500 in your personal development each year and fancy having a day off on your birthday, please apply today! Send your CV to vacancies@isoqsltd.com. Please let us know if you’d prefer a full time or a part time position. Providing ISO/BS Certification and support services using a ‘Keep it simple’ approach, while maintaining excellent customer service in the form of being open, honest and fair at all times.